The guys from Trucktrend.com have managed to catch an interesting prototype that seems to be the facelifted 2018 Ram HD. We know it’s refreshed because the new generation model isn’t coming before 2020 and will be moved from Mexico to the U.S. In any case, the camouflaged HD pickup truck seems to feature some rather familiar cues, especially in the front end. The updated 2018 Ram HD will likely borrow the nose from the smaller brother. Yes, the grille appears to be exactly the same as you can see on the newest Ram 1500. Of course, the grille won’t be the only change. The big pickup is also getting new headlights and maybe a new bumper. 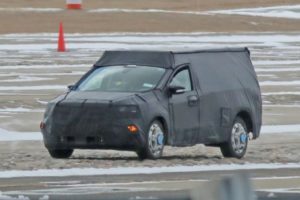 The testing vehicle has nothing new in the back, but this might change with the production model. The car manufacturer will probably add a pair of new taillights and restyled rear bumper. The 2018 Ram HD won’t be facelifted only. 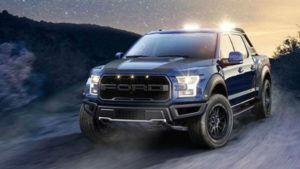 The truck will likely receive some changes under the hood as well. As we have heard, the current 6.7-liter Cummins turbodiesel will be updated, so in place of today’s 925 pound-feet of torque, it will be able to reach all 1,000 lb-ft of twist. 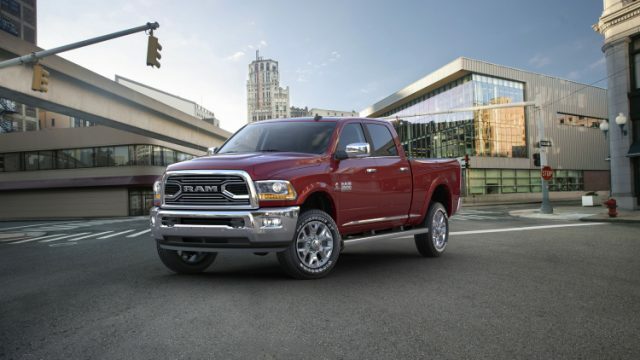 According to Trucktrend.com, the refreshed Ram HD might also lose one gasoline engine. The car manufacturer will allegedly cancel the 5.7L, so you will be able to pick a 6.4-liter engine only. Judging by the information we have, the 2018 Ram HD will be introduced very soon, most likely at the upcoming Chicago Auto Show in February.